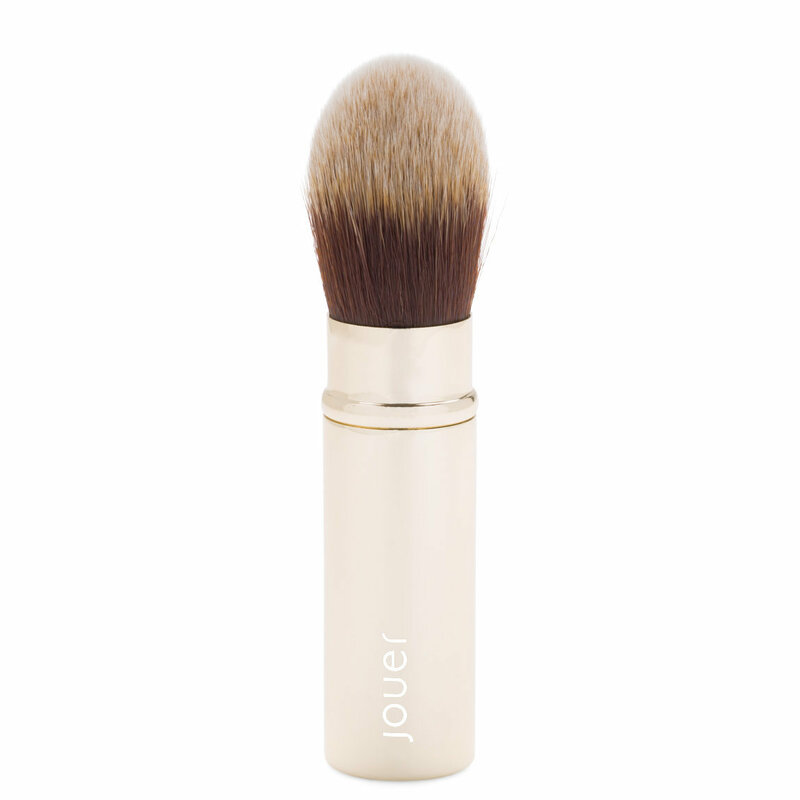 Create a flawless finish at home or on the go with the Essential Travel Complexion Brush from Jouer cosmetics. This versatile face brush features soft synthetic bristles that evenly and easily disperse product on the skin. The compact, purse-friendly design features a retractable head for ultimate convenience. Sweep the brush through your favorite powder and twist up to keep the product on the brush for later application. Sweep powder over the skin. Gently tap to remove excess before applying, if needed.